1. Why do we need essential oils for energy? Do you frequently feel exhausted after working? Or waking up in the morning is the most annoying thing that ever happened in your life? That is when you need some essential oils for energy and motivation to keep your mood uplifted. Here are the best essential oils for alertness, plus with simplest recipes and tips to enhance your day. Why do we need essential oils for energy? At least once in your lifetime, when hearing the alarm clock in the morning, you just want to throw it away and bury your head in the pillow. Even when you have debated the drowsy and tired feeling, it seems impossible to maintain high levels of energy throughout the day. There are many reasons for this condition: lack of sleep, overworking, stress, or any negative feeling can play a role. Sometimes, it is just Monday that makes our mood fall to a low. Despite you have bent over backward to get yourself adapt with the energy levels, some moments of the day are still awful with tons of works that need to be done. That is when you just want to give up and can not complete the task with an expected outcome. So, what is the most efficient way to get rid of drowsy and maintain the wakefulness for the whole day? The answer is quite simple, keep your body and mind refresh by choosing some essential oils for energy boosting. You will be surprised by the unexpected effect of this aroma therapy! Here is the list of top energizing essential oils, with the simplest and most useful recipe of blends and instructions. After picking the fresh fruit, they peel and cold-press the rinds of lemon to extract the most active agents. This top-selling essential oil provides multiple beneficial effects in cleansing and health boosting. The purifying and natural odor with a touch of sweet is the perfect choice to refresh the air. People add the lemon ingredient in many household products as a non-toxic and mild cleaner, which is extremely useful for air and surfaces. When diffused, lemon essential oil acts as an uplifting agent to bring back our energy and mood. That is why many people put Lemon flavor on their list of essential oils for energy and depression to start a new day. 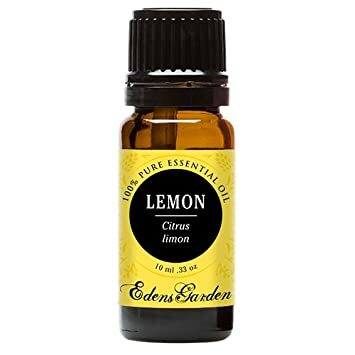 Add 2-3 drops of Lemon essential oils into 50 milliliters of water. Spray on your face whenever you feel tired or sleepy. Or you can add this essential oil in your skin care products to calm the skin and reduce redness or big pores. You see, not just helpful for creating an uplifting environment, Lemon oil also takes care of your skin and bring up a brightening outlook. You should store the oil bottle in a dry and cool place, far from sunlight. After applying the oil, keep yourself away from UV rays for some hours to prevent sun irritation. Ancient people have used ginger in traditional medicine for many different purposes: treat digestive and respiratory disorders, reduce inflammation, or only add ginger in their daily meals. Probably, the most frequent benefit of ginger is supporting the digestive tract when combined into dishes. The beneficial effects of ginger essential oils are similar to the fresh form of this plant. 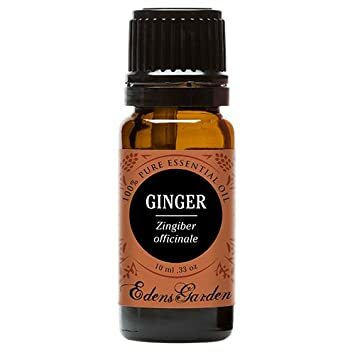 In fact, the essential oil is the most powerful form of ginger because most active elements assemble in one drop of ginger oil. You can take it orally or topically to solve many health issues. Ginger essential oil in aroma therapy is a potential ingredient to reduce stress, anxiety, depression and drowsy. With a warm quality, ginger essential oil supports your sleep, thus increases positive feelings and energy. Ayurvedic medicine believes that ginger oil is efficient for mental and emotional issues such as fear, abandonment, and boosting self-confidence. Add 2-3 drops of ginger oil in a diffuser then inhale. Apply some drops in your handkerchief, cotton pad and place it in your room. Mix 2-3 drops in 30ml of carrier oil and massage the mixture on your body. Release all of your muscles, then open your mind to receive the energy stream. You want to use it on children. You are under specific medications such as blood thinner. You have chronic diseases, such as diabetes or hypertension. In those cases, consult your doctor before using. You are more likely to suffer acute low blood pressure if diabetes or hypertension are available. Australia is the home country of this evergreen tree, as it provides the primary source of nutrient to a native creature – koala bears. Meanwhile, people extract the essential oil from Eucalyptus to treat many health problems. Not only helpful for respiratory diseases, but Eucalyptus essential oil is also famous for its ability to reduce mental exhaustion. With a cooling and refreshing effect, this essential oil is an excellent soup for your soul. It deletes all fatigues, tiredness and brings back you maximum energy to start a new day. Scientists believe that when combined with Peppermint oil, Eucalyptus can increase cognitive performance and relax mental exhaustion . It is supposed that Eucalyptus stimulates the blood flow to the brain, thus acts as an essential oil for energy. Put some drops of Eucalyptus oil in a diffuser before going to bed. This aroma therapy for energy provides you a better sleep and promotes the spirit of relaxation. Add one drop of this oil into your skin care product, such as moisturizer and apply on your skin for rejuvenating property. Do not overuse or abuse Eucalyptus essential oil because an overdose of this method can become toxic. If you have sensitive skin or allergy, test a small amount of this essential oil under your arm to make sure it is safe for you. Nobody can deny the excellent effect of peppermint essential oil for our body, health, and mind. It is also at top-rated essential oils for focus and concentration. 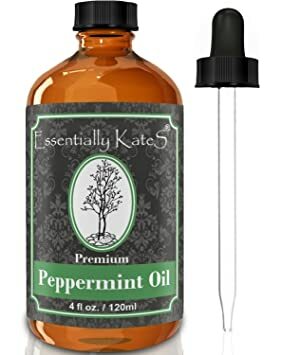 Due to the high concentration of menthol and menthone, Peppermint essential oil provides a unique cooling sensation for mind refreshing. People collect the oil through a complicated steam distillation before putting it into a variety of products. Along with multiple effects, there are many ways to use this essential oil. You just need to pick up one of the instructions below as your desire. Add two drops of Peppermint essential oil to the shower gel and take a bath before going to work. This relaxing method is an effective way to awaken your senses. Add a few drops of peppermint oil and Eucalyptus oil into a bathtub full of warm water. Then enjoy a relaxing scent in the aromatic odor after a hard working day. Diffuse the oil and inhale for about 10 minutes. However, it is necessary to pay attention to the uses of Peppermint oil. Keep the oil jar out of reach of children to avoid accidentally drinking. This essential oil is for external use only, do not let it touch your eyes and mucosa. If things become over control, you need to rinse your eyes thoroughly with clean water and consult your doctor. Not only famous for its flavor in potatoes and roasted lambs, but Rosemary is also widely known for its power in medication and aroma therapy. The active element that contributes to the magical effects of this herb is carnosol, which also available in mountain desert sage. Carnosol has anti-inflammation and anti-cancer properties, so scientists are still evaluating the potential uses of this compound in cancer treatment. 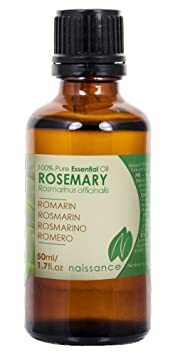 In 2007, Japanese researchers found out that smelling Rosemary essential oil can reduce the cortisol hormone – which associated with stress, obesity, high blood pressure, and heart problems . Besides, this is one of the best essential oils for energy and focus based on the results of some studies. The newest evidence proved that Rosemary oil could be used to improve speed and accuracy in mental challenges . Diffuse the oil while working or studying to improve concentration. Dilute one drop in 100 milliliters of water and take internally. Add some drops into any skin care product and use topically. This essential oil may irritate your skin, especially if you are sensitive. Do not let it contact with your eyes, ears or any sensitive areas. If you are pregnant, breastfeeding or under medications, it is essential to consult your doctor before using. After a complicated steam distilling process from the flowers and leaves of Africa native plant – Pelargonium – Geranium oil is extracted. It is the main ingredient in many high-end cosmetics and perfumes with a touch of sweet scent. This non-toxic and non-irritant essential oil is exactly what you need to uplift the spirit and promote emotional balance. Due to the sweet and floral smell, Geranium essential oil reduces fatigue, anger, and relaxes your mind. You can add the edible leaves and flowers of this herb in teas with the same property. However, in this article, we will show you how to use this excellent essential oil for fatigue and stress control. 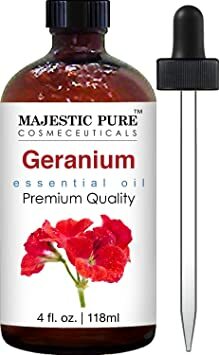 Diffuse Geranium essential oil for a calming purpose. Add a few drop to your shampoo and conditioner and use as usual. The oil brings up a comfortable odor that reduces headaches and improves your mood. Add 2-3 drops into water and spray on your face. Sometimes, rash or burning sensation may develop in sensitive skin. Make sure to test a small amount on your arm before using. People with high blood pressure need to notice the side effects of this essential oil, as it stimulates blood vessels contraction. It may be a potential risk for patients with cardiovascular diseases such as stroke and heart attacks, too. Maybe every people have seen pine tree at least once in their lifetime, especially in Christmas holiday. But the appliances of Pine essential oils are still uncommon. It is collected from Pinus Sylvetris – which first grew in Russia and Australia before spreading to every corner of the world. Pine essential oil shows its ability in reducing skin disorders, calming respiratory symptoms, and improving mental health. These amazing effects are attributed to the antiseptic, analgesic and aromatic properties of pine. According to customer’s reviews, the warm scent of Pine essential oil is the combination of woody aroma and balsamic vinegar. It helps clean the air and reduce toxins in our environment due to the antimicrobial effects . Most users voted pine oil as top the best essential oils for alertness. For topical use, dilute the pine oil with an equal amount of olive oil and apply to the skin. For aromatic use, put 4-5 drops of pine oil to an aroma lamp and enjoy the fabulous scent. You can use it as a hot inhalation with 2-3 drops for 30 minutes daily. Keep the oil out of the reach of children. It is for external use only, so do not let it contact with your eye or any mucosa membranes. Always dilute the oil with a carry matter before using to avoid irritation. This famous herb is used in many food recipes to enhance the original flavor. However, its benefits are far beyond the dishes, as Asian and Indian have used this plant in traditional medicine for thousands of years. While people use the fresh form of this herb in cooking, basil essential oil is more preferred with rich and potent elements. It contains antioxidant agents to fight against bacteria and body odors. That is why basil oil is the main ingredient in many oral product and fragrances. Basil essential oil is at top-rated of energizing essential oils because of the mood enhancer benefit. It reduces brain fog and restores mental alertness, which is extremely useful for exhausted people. With just a few drops of basil essential oil, your mind and body will restore its highest status and ready for a new day. Aromatic use: Diffuse the oil throughout your home by an aroma lamp or a diffuser. You can directly inhale the scent from the oil bottle, or put some drops in your handkerchief and inhale. 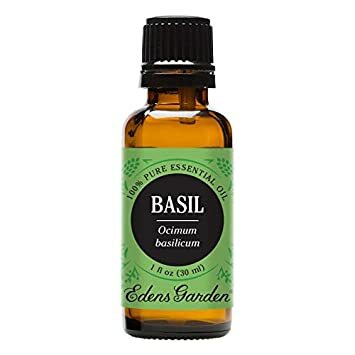 Topical use: Dilute basil oil into a carrying oil (ex. coconut oil) with the same amount and apply on your skin. Internal use: The 100 percent pure and clean basil oil can be used internally, but you need to choose the famous brand, such as Doterra oil for energy boosting. Add the oil into your smoothie or honey if the flavor is too intense for you. If you are pregnant, breastfeeding or having epilepsy, consult your doctor before using this oil. It may have some impact on your hormonal changes and function of the nerve system. As the name implies, the essential oil extracted from this plant has been referred to “the oil of angels.” It owns a special sweet and spicy aroma. Therefore people use Angelica oil in many cuisine recipes. In the 16th century, this native African herb traveled to Europe and became popular from then by the ability of Plague treatment. Gradually, plenty of medical aspects from Angelica essential oil were discovered. Natural relaxant property is one of the most common uses of this essential oil for energy. A study in 2005 suggested the potential effect of Angelica in mental problems related to anxiety, which lead to social failures . If you suffered from a hard day and became angry or depressive, Angelica essential oil therapy is everything you need. Topical use: Add a few drops in a hot compressor to relax your body muscle. Or mix 2-3 drops of oil into a carry massage oil and create your homemade spa. Rubbing the oil in women’s abdomen supports a balanced menstrual cycle. Aromatic use: Diffuse the oil and inhale for about half an hour, three times per day. This essential oil is for external use only. After applying on your skin, you should avoid exposure to direct UV rays, or it will be easy to get sunburn. If you are pregnant or have diabetes, consult your doctor before using. We believe there is nothing more to say about this amazing essential oil for the energy boost. It is the top – hunted essential oil all over the world, as there are plenty of beneficial properties about this popular purple flower. 2013 marked a huge step of Lavender essential oil in treating neurological related issues . If you have a chronic headache, migraines, or emotional stress, try this essential oil and see how amazingly it improves your mental health. Add 2-3 drops of this essential oil to your bedding area or your feet before going to sleep. Combine a few drops of Lavender oil with clean water and spray in your room, office or car to freshen the air. Add in your dishes to enhance the flavor. Desserts and drinks get well with the lavender taste. Combine 1-2 drops of coconut oil and apply to your skin. Dilute one drop in 100 milliliters of liquid before drinking. 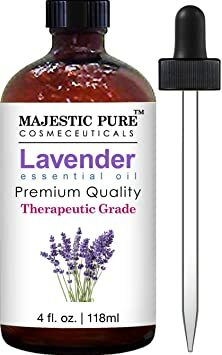 In general, Lavender essential oil is quite safe for most people. But if you are sensitive to strange agents, test a small amount or ask your doctor before using. From the South Asia, cinnamon plants made its way throughout the world and became popular in the form of essential oil or spice powder. There are two parts of the Cinnamon plant that could be used to extract essential oil: leaves and bark. But Cinnamon bark oil is more preferred as it owns stronger aroma, which is similar to perfume. The perfume-like odor of Cinnamon essential oil can uplift your energy, wipe out drowsy feeling and make you feel awake for all-day long. In contrast, inhaling this warm and sweet smell before bedtime helps prepare a better sleep for insomnia people. Aromatically: instead of your favorite perfume, spray Cinnamon essential oil to your room and clothes. Or you can smell directly from the oil bottle. Topically: Mix the oil with a carrier oil in 1:1 ratio then apply to your desired area. Internally: Unless you found a trustworthy brand, do not try low-quality products. FDA approved the safety of cinnamon oil for internal consumption does not mean that you can drink or eat them without consideration . Just add a few drops into water or your favorite smoothies and enjoy. Cinnamon essential oil is quite safe. But it could be a little bit “hot” for some people and may leave behind burning sensation or rash if applied directly to the skin. Remember to dilute it with a carrier oil first. Similar to others types of oil, if you are under specific conditions, consult your physicians before using. Bergamot belongs to the Citrus species, in fact, it is a mutation of lemon. The oil assembles with a high percentage in the rinds – that is why they need to peel the fruit to collect essential oil. Most people are familiar with Earl Grey black tea, but they do not know that it comes from Bergamot. Black tea owns a unique flavor that has convinced the prissiest customers. Through the lens of Chinese traditional medicine, Bergamot can promote and boost the flow of the energy stream in the human body. Ancient Asians used it to treat digestive related issues, especially gas and indigestion – which caused by the disorders of energy flow. Nowadays, we have known another benefit of Bergamot essential oil for energy: alleviating depression. It may be associated with many symptoms: fatigue, low mood, low sexual activity, loss of appetite and exhaustion. Knowing how to use Bergamot – one of the most wonderful essential oils for energy and depression will help you solve the problem in a glance. Diffuse the oil in your room for an active environment. Dilute in Vegetable oil complex and massage your body. Add one drop in your Earl gray tea and enjoy one cup in the morning to enhance the day. Add a few drops into your skin care cream and apply for a smooth skin and comfortable odor. You need to store the oil a dark bottle and place in a fresh and dry place, away from the exposure of sun light to prevent deconstruction of the oil. After topical use, avoid direct contact with UV rays until the oil is fully absorbed by the skin to prevent sunburn. People with diabetes should notice the lower blood sugar side effect of Bergamot essential oil. It is also risky with people who are preparing to have surgery, as it may affect the blood sugar level during the procedure. Stop using this essential oil for at least 14 days before the surgery for safety purposes. Last but not least, we will introduce a unique essential oil that extracted from a woody tree – Cedar wood essential oil. They cut the wood into pieces before collecting the oil through a complicated steam distillation. Unlike most essential oil that has a strong odor, cedar wood provides a mild and natural wood-like scent that brings up a pleasant and comfortable feeling. It is not the highlight smell, but it adds a warm texture to another blend of odors. According to fans of Cedarwood essential oil, this natural deodorizer can promote positive feeling, improve self-esteem and connect people. It will blow a warm energy to your soul and keep your spirit up high for the whole day. Besides, Cedar wood oil can relieve tension and stress efficiently. By reducing muscles spasm and releasing serotonin in your brain, it eases your headache and promotes a quality sleep. Add the oil in your favorite skin care products. Put some drops in your shampoo and conditioner. Put some drops on your palm and massage on your scalp. Combine Cedar wood essential oil with its mix-match oils (Bergamot oil or tea tree oil) and diffuse. This oil is for external use only, so do not let it touch your mucous membranes. You should avoid the direct sunlight to your skin for 12 hours after applying the oil. Sometimes, the blend of more than one essential oil will bring up unexpected effects. Everything you need to do is choosing the aroma that matches perfectly with another. Here is some simplest essential oil recipe for energy and motivation for yours. Mix all together and add 50 ml of coconut oil into the mixture. Use this recipe for body or foot massage. Put the mixture into a bottle and shake well to blend the liquid. Then pour some drop on your handkerchief and inhale whenever you want to take back your energy. Another way to use this mixture: put it in a spray bottle with ½ teaspoon of vodka and 100ml of water. Shake well, then spray to your room. Or you can add a few drops of the blend to your bathtub with lukewarm water and soak yourself for about 15 minutes. Mix them well and put into a spray bottle. Now you can spray the essential oil blend on your clothes, pillow, and mattress for fatigue control. Provide a balanced diet to your body. Healthy eating is the most efficient way to nourish your mind. Make sure to consume a sufficient amount of whole grains, fats, proteins, vitamins, and minerals. Drink enough water. Keep your body hydrated by drink at least 1.5 liters of water per day. Go to bed early. This is the vital recommendation. An inadequate sleep leads to drowsy and tired feeling in the next morning and stimulates the aging process. We have mentioned the top best essential oils for energy above, as well as the simplest recipe for oil blend. Hope that this information is useful and fully provide what you are searching. Give us thumbs up and SHARE this article if you find this information helpful! Leave a comment below, we are ready to help you!